At Hemlock Lawn Maintenance, we take pride in the transparency and simplicity of our lawn service prices. We offer multiple lawn care options, from an award winning lawn service, tailored specifically for you, our customer. Learn more about Hemlock Lawn Maintenance. 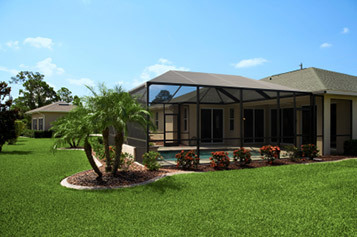 At Hemlock Lawn Maintenance, we have 10 years experience serving the customers of Pinellas County. We aim to provide basic lawn service, at an affordable, predictable monthly rate. If from time to time, you have an additional lawn or landscape need other than basic lawn service, we stand ready to handle that for you as well. We try to make our lawn service plans as simple and affordable as possible. We seek to avoid overcharging your for services you don’t need or don’t want in your monthly bill. For the discerning customer, where your service needs routinely extend beyond basic lawn service, we proudly offer Estate Service Lawn Care. We will contract to address your every need and custom fit a solution to your specific landscape. Please call us today, or fill out our Complete Care form describing your property and we will contact you to discuss your lawn and landscape needs. If you are in search basic lawn service, our innovative lawn pricing methodology, and our state of the art payment processing solution has combined to form a quick, simple, flexible solution for homeowners throughout St. Petersburg, Pinellas Park, Seminole, Largo, and Clearwater. One quick look through our website, and you can perform your own lawn service price estimate, request lawn service, and with a click of the mouse make a payment and never have to worry about your lawn again. You can click on the link below to learn more and even sign up, right online. We proudly offer Commercial Lawn Service for properties of all shapes and sizes. At Hemlock Lawn Maintenance, we place a particular emphasis on finding the right lawn care program and solution for your facility. Stop paying for services you don’t need. Start working with someone that can offer you a lawn care solution that works for your budget! Contact us today, and trust the grounds of your Commercial Property to Hemlock Lawn Maintenance.